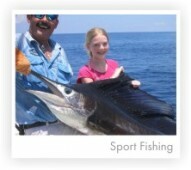 These newsletters will focus on local interests from southern Costa Rica and each month we plan to feature articles on cultural events, activities for the family and points of interest, local amenities, tours and lodging, plus, an overview of the region‚Äö√Ñ√¥s growth and development along with coverage of specific farms and their particular activity. 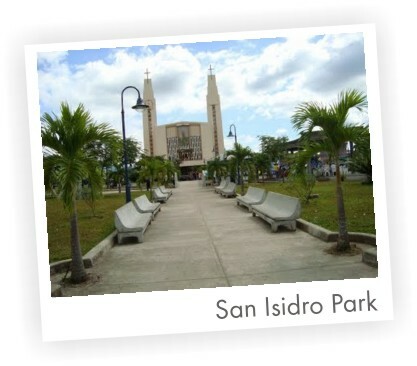 San Isidro is the unofficial capital of southern Costa Rica and it is a bustling city with good shopping, services, quality medical care and a great climate. Set high in the Talamanca mountain range, San Isidro is also the fastest growing city in Costa Rica. The area has a population of almost 250,000 and it is estimated that with the present rate of growth (22%) the population of the area will more than double in another 10 years. 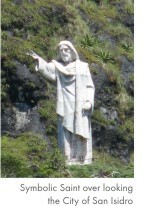 For the locals, San Isidro is known as ‚Äö√Ñ√∫Valle del General,‚Äö√Ñ√π or ‚Äö√Ñ√∫Perez Zeledon‚Äö√Ñ√π (P.Z. for short), because Perez Zeledon is the name of the canton (county) where we are located. There are many attractions that make the area unique. 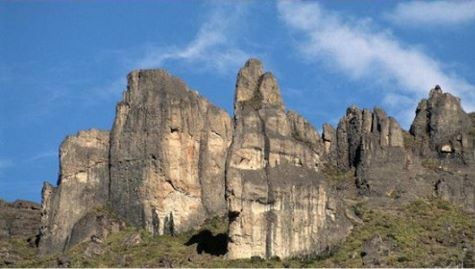 On the east side of San Isidro there is Chirripo National Park and Chirripo Mountain which is the highest peak in southern Central America at 12,600 feet. The park covers over 123,000 acres and encompasses many ecologically diverse areas such as: tropical rain forest, highland cloud forest and sub-alpine tundra. Such a wide range of habitats provides a home to a wide array of animals, birds, butterflies and plants that is sure to amaze you. For the more adventurous there is the opportunity to hike to the top of Chirripo Mountain, a trek which requires an overnight stop as you make your way up the mountain. Those that reach the peak are rewarded with tremendous views, on clear days you can see both the Pacific Ocean and the Caribbean Sea. From there the mountain ranges plunge to sea level in a distance less than 50 miles to the west side of the city. This is a great thing for residents because you can choose the temperature or altitude you find comfortable, the view you would like to have and the perfect climate zone for the kinds of plants you would like to raise. 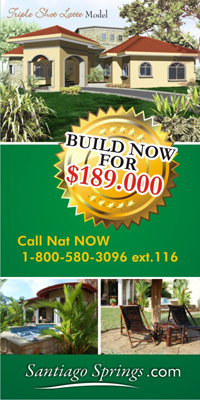 The main industry in the area is sugar cane, pineapple, coffee and tourism. There is a culture here of entrepreneurship, leadership and a desire to excel that produces the best pineapple in the world, more coffee than any other canton in Costa Rica, and the largest farmers co-op in the country. Perez Zeledon has long been one of the most prosperous areas of the country and its residents take pride in their history. 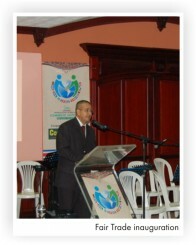 "P‚àö¬©rez Zeled‚àö‚â•n is declared a Fair Trade City for the importance of the social, economical and environmental impact of this model on the development of small coffee producers." With this declaration, P‚àö¬©rez Zeled‚àö‚â•n becomes the first Latin American City to take this initiative. This will yield great possibilities to associate other products of the district with fair trade initiatives and create social, environmental and economic bonds with other regions. What is fair trade, exactly? While no definitive definition exists, the concept is generally understood as a trading partnership that works to improve working conditions ‚Äö√Ñ√¨ social, economic and environmental ‚Äö√Ñ√¨ for workers and producers in developing countries. In addition to a higher wage, benefits to workers and producers include access to credit, increased market relations, as well as guidance and assistance with product development, marketing and technical assistance. It is a natural selling point for a city, becoming a Fair Trade city requires the Council to officially endorse the concept and to use fair trade products itself. There is also a requirement that a minimum number of businesses, educational institutions, churches and community groups sign up to use Fair Trade products. Fair Trade is about ensuring that those who farm products get a fair and decent living from their work. It also encourages sustainable practices and provides assistance to affordable credit for developing country farmers. It is an important part of creating a sustainable and equitable trading system globally; World Fair Trade Day is celebrated every year on the second Saturday of May. All around the world, producers, farmers, organizers, supporters, consumers and activists do something to show their support for Fair Trade and what it does to change lives for the better. This is where ‚Äö√Ñ√≤the rubber meets the road‚Äö√Ñ√¥ in regards to issues such as biodiversity, sustainable development, and conservation of natural resources, and where individuals such as yourself can really make an impact, even just as a visitor. Verdant mountain peaks rise up out of forested valleys as clear sparkling streams tumble down from the highlands. Farmland, pasture and rain forest blend with giant mangrove swamps, where both the fishing and bird watching are unparalleled anywhere. Over 60% of the land is covered by rain forest, and this region is home to the largest concentrations of indigenous peoples in the country. This particular area is by far the most bio-diverse in the country, and Costa Rica is one of the most bio-diverse countries on the planet, with over 5% of the known species of life forms on Earth. In our area we have four national parks and a national reserve, plus dozens of private reserves and wildlife refuges. 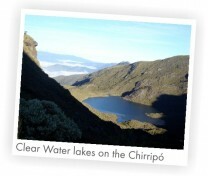 Situated between the Talamanca Mountain Range and the Pacific Ocean, and stretching from San Isidro and Dominical in the north to Punta Burica and San Vito in the south, it covers a vast array of complex tropical ecosystems from lowland wet forests and mangrove swamps to ridge top cloud forests and rocky highlands. It‚Äö√Ñ√¥s all here and always ready for you to enjoy. Just to make sure you know this, the southern zone of Costa Rica, though not networked with high-speed trains or perfectly maintained superhighways, is EASY TO GET TO. This area is absolutely accessible and is a relatively short drive from San Jos‚àö¬© (only about 3 hours to San Isidro de El General) and will soon be opening up to commuter airline flights. In addition, there are hundreds of places to stay, eat and play in, for people of every budget in every significant area of interest. With the completion and paving of the Pacific Coast Highway between Dominical and Quepos, the coastal beaches, even more national parks and the extreme southern zones are quite accessible. 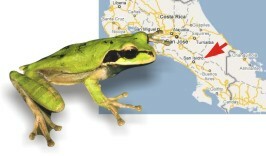 Another great fact about the southern zone of Costa Rica is that it‚Äö√Ñ√¥s relatively crime-free. If you have heard any alarmist stories about the purportedly ‚Äö√Ñ√∫high‚Äö√Ñ√π level of crime in Costa Rica, you will find that the vast majority of it occurs in the Central Valley, specifically in San Jos‚àö¬© and its suburbs, with the Atlantic coastal areas coming in a close second. Sure, there are a few scattered thefts and break-ins and such here and there throughout the rest of the country ‚Äö√Ñ√Æ this is planet Earth, you know ‚Äö√Ñ√Æ but anything more than that is very rare and almost negligible statistically, though extremely over publicized in the ethnocentric and propagandistic international media. Compare this country to New York, Los Angeles, Miami, any significant city in Europe, or any other countries in Central America in regards to real crime statistics, especially violent crime, and all your concerns will simply fade away. You are much safer here than you would be almost anywhere else in the world. And that is a fact! The natives, though maybe a bit hard to communicate with if you don‚Äö√Ñ√¥t speak Spanish, are overwhelmingly friendly, and always ready to help if the need arises. Many tourists and expats have related their personal experiences with the local Ticos to me, and how eager they have been to lend a hand if the need arises. I hope this newsletter will give you a better understanding of why I love Costa Rica and why I am so thankful to be raising my family here. This land is truly blessed with natural beauty, clean air and water, and a wonderful people who recognize what they have been blessed with. So if you haven‚Äö√Ñ√¥t visited Costa Rica yet, I hope you‚Äö√Ñ√¥ll take the time to visit soon.